Casado Grupo is a complex industry, which has worked in numerous, different sectors for more than twenty years. The group produces and distributes, at the European level, an extremely varied range of raw materials for industry and food products for distribution. These include more than 300 items, extending through olive oils, vegetable oils, sugar in all its forms, sweeteners and starch for industry and biological ingredients, packaged and in bulk..
Our entire product line is used extensively in the production of food and drink, food integrators, pharmaceutical and herbalist specialty items and many other products. 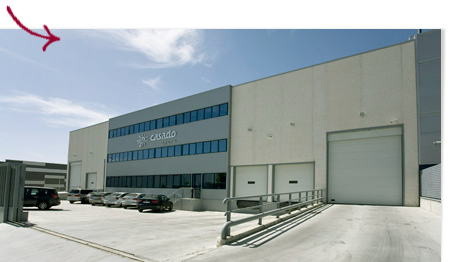 Our headquarters are located in Valladolid, near Madrid, Spain. It is precisely in Valladolid where you can find the company’s five production plants, its quality control laboratories and the research and development unit. There are 5,000 square metres in a newly-constructed industrial building, containing the departments of manufacture and package, logistics, quality, R+D+I and administration.